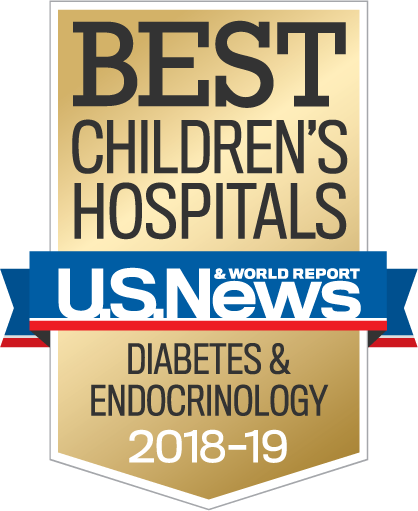 Children’s Hospital Los Angeles is ranked among the top hospitals in the nation for endocrinology and diabetes care on the U.S. News & World Report Best Children's Hospitals List. The Division of Endocrinology, Diabetes and Metabolism provides clinical care and conducts research on childhood diabetes, growth, weight management, general endocrinology and bone metabolism. Our inspiration for the work we do is the children we treat. Our team of professionals works on multiple fronts to advance early intervention, education and scientific investigation to continue to give children hope so they can achieve their dreams. We are pioneering new tools, treatments and lifestyle-changing clinical programs. We are at the forefront of regional, national and international efforts to bring about healthier lives for children. Our highly trained professionals care for more than 4,000 children with endocrine disorders annually. Nearly 2,000 of our patients are treated annually for type-1 and type-2 diabetes. The Endocrinology Fellowship Program in the Center for Endocrinology, Diabetes and Metabolism trains the next generation of highly specialized pediatric endocrinologists. The Center is continually searching for cures while implementing cutting-edge care as it leads the way for children afflicted with endocrine disorders to live healthy, productive lives. The Center initiates and participates in major national clinical studies, and its physician-scientists are collaborating with researchers at The Saban Research Institute, the University of Southern California and other institutions on multiple research studies involving diabetes, obesity, growth, pubertal, bone metabolism and adrenal disorders. We initiate and participate in major national clinical studies. Our physician-scientists are collaborating with researchers at and other institutions on more than a dozen research studies involving diabetes, obesity, growth, bone metabolism and endocrinology. Children’s Hospital Los Angeles is participating in the National Institutes of Health (NIH)-funded multicenter consortium, TrialNet, which investigates the natural history of type 1 diabetes and the use of various immunological agents in the prevention and reversal of early type 1 diabetes. It is also a part of the NIH Multicenter TODAY2 Trial investigating the longterm effects of various treatments for type 2 diabetes in children and adolescents.